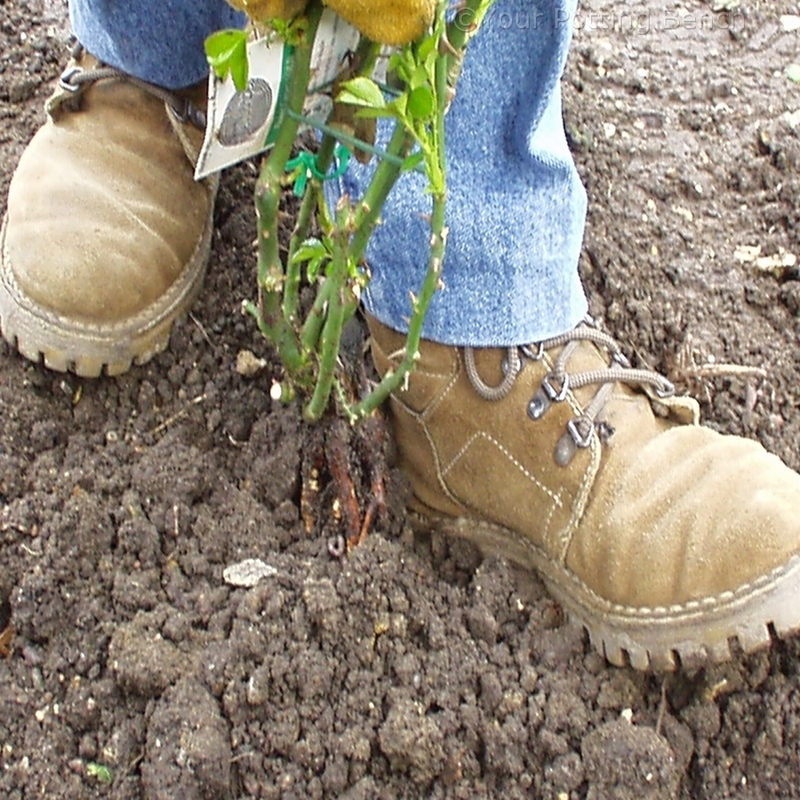 There are two schools of thought about rose planting, regarding whether or not the graft union should be buried. 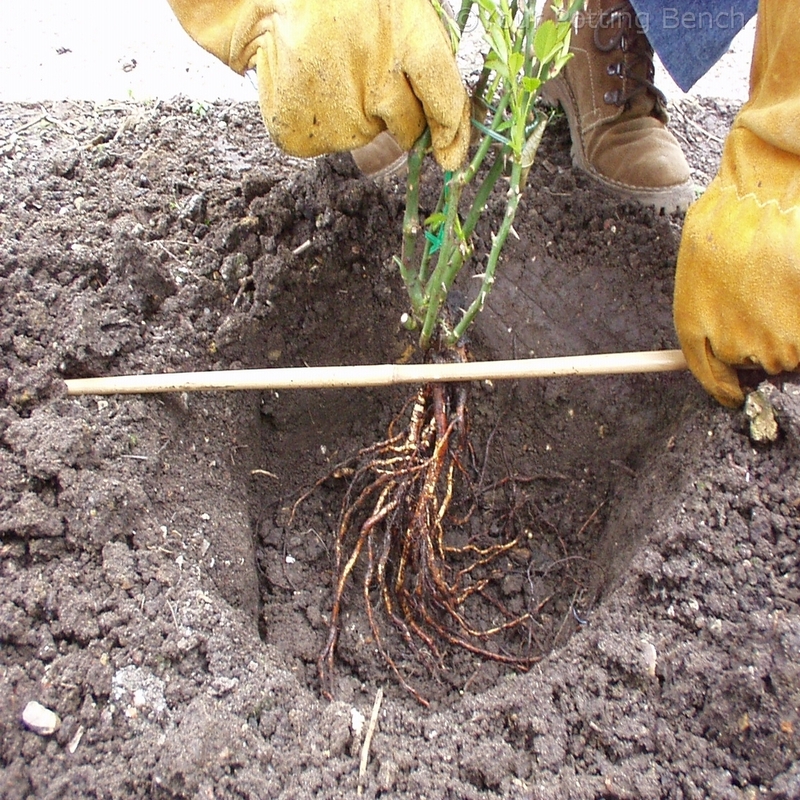 Here we show you planting with the graft above ground. 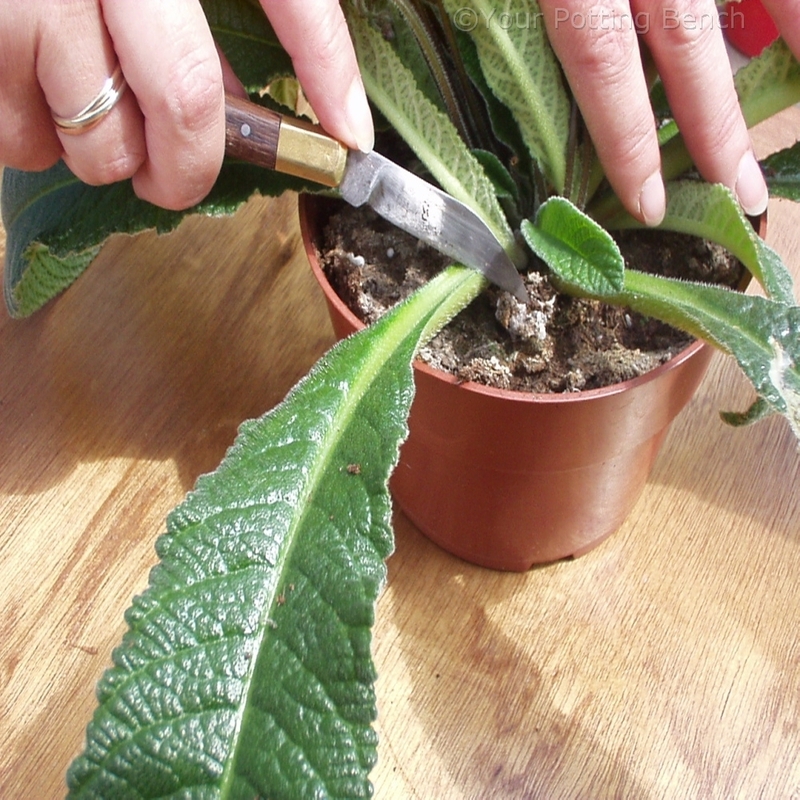 This reduces the chance of rot occurring at this point or the scion forming roots. 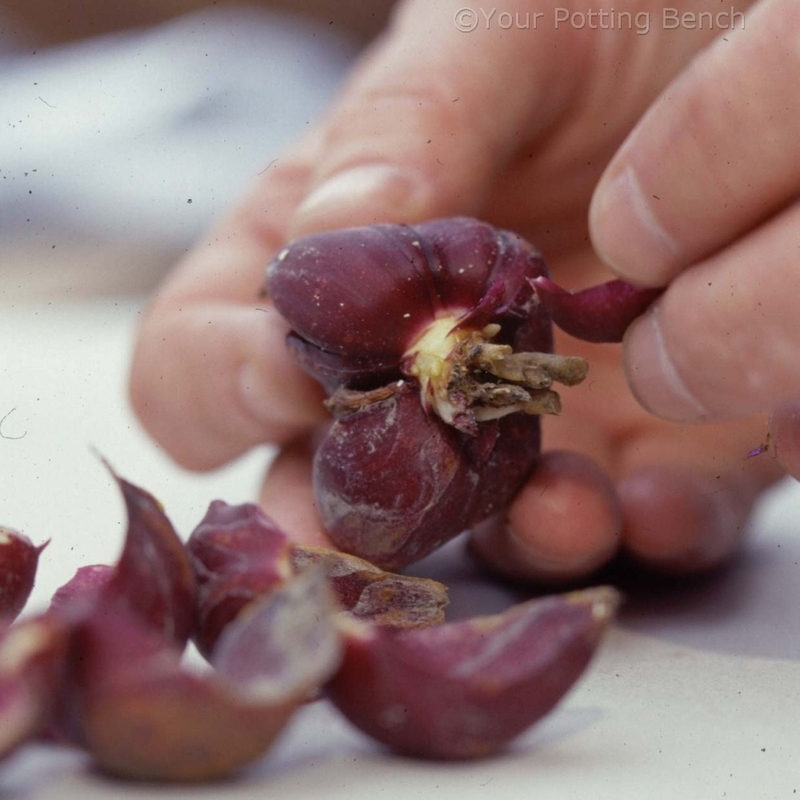 See What is Grafting? in our Gardening Basics section. 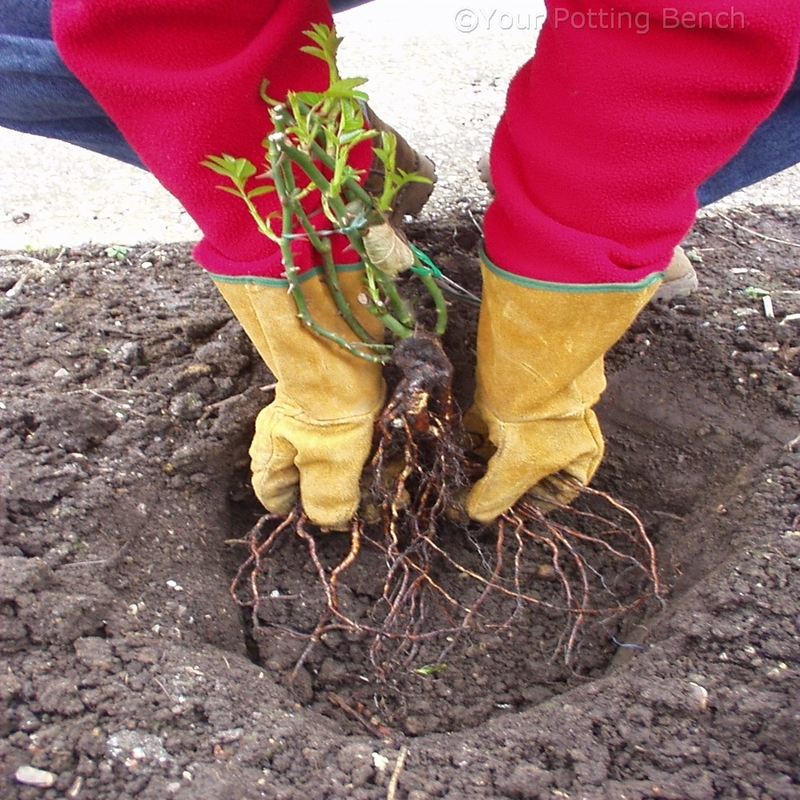 Dig a hole large enough for the root system of your new plant, including room to spread the roots out. Use a short cane to work out how deep the hole should be. If the graft union is not obvious, then leave the very upper part of the brown root system above ground level. 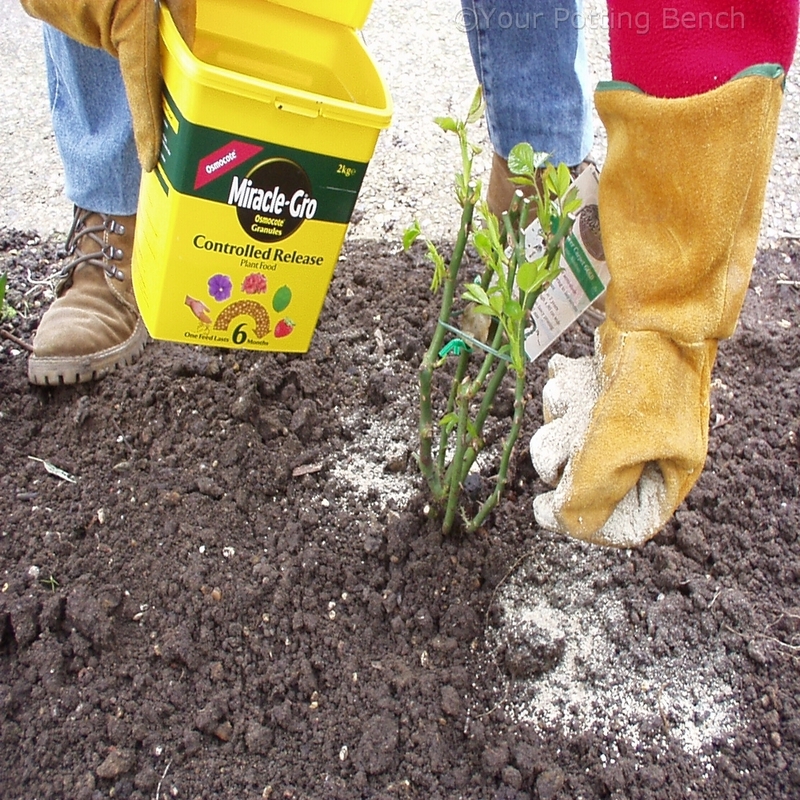 Fill in the hole around the roots and firm around the plant with your heel. This stops the plant rocking in the wind, which would break off new roots as they began to grow out into the surrounding soil. 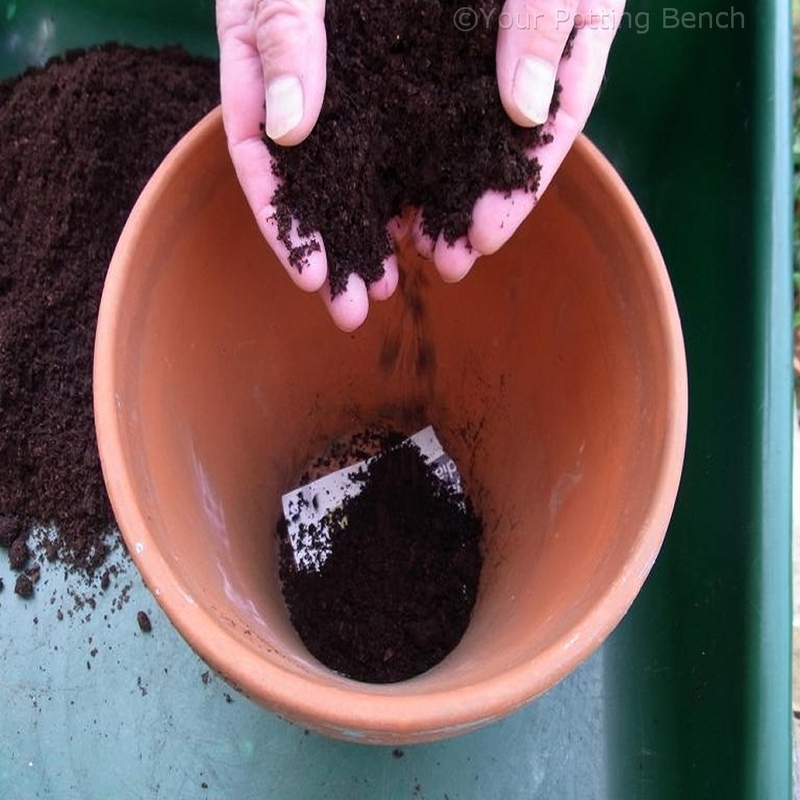 Add a measure of general fertiliser around the plant, fork it lightly into the soil and water well. 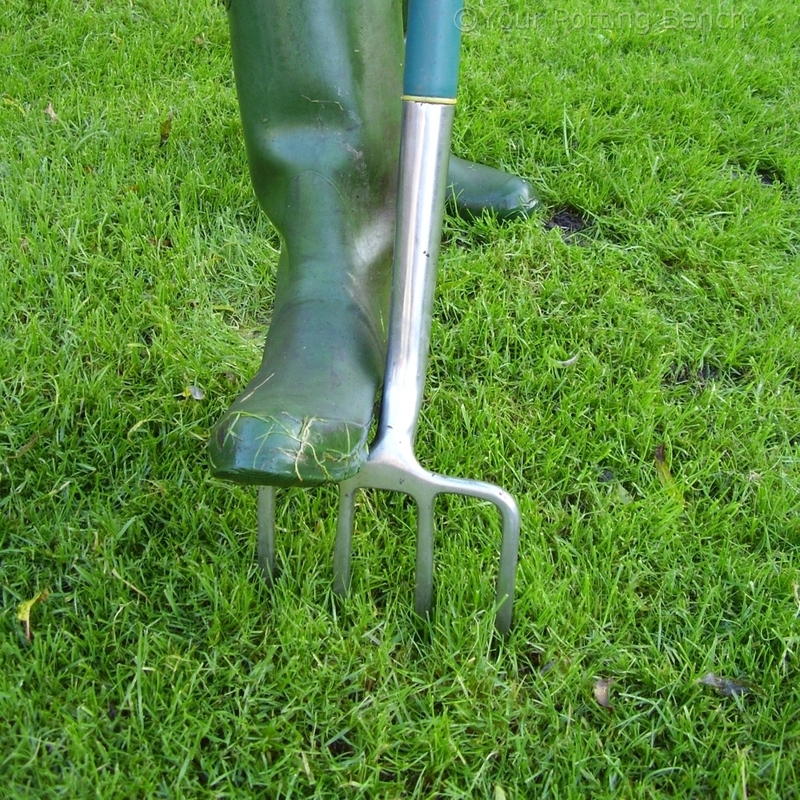 This settles the soil around the roots and washes fertiliser sown towards the rooting zone. Cut any ties, but leave labels in place.